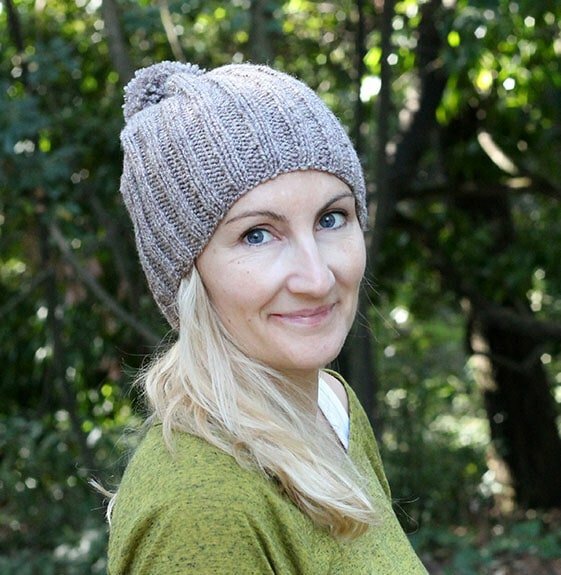 This knit hat pattern is an excellent project for anyone who is learning how to knit. 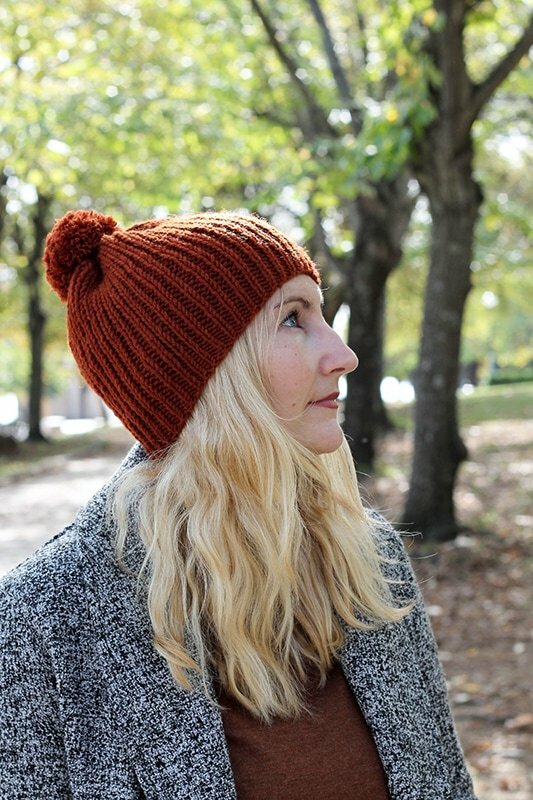 Inspired by the movie Love Story, I wanted to make a hat that was perfect for the fall weather. 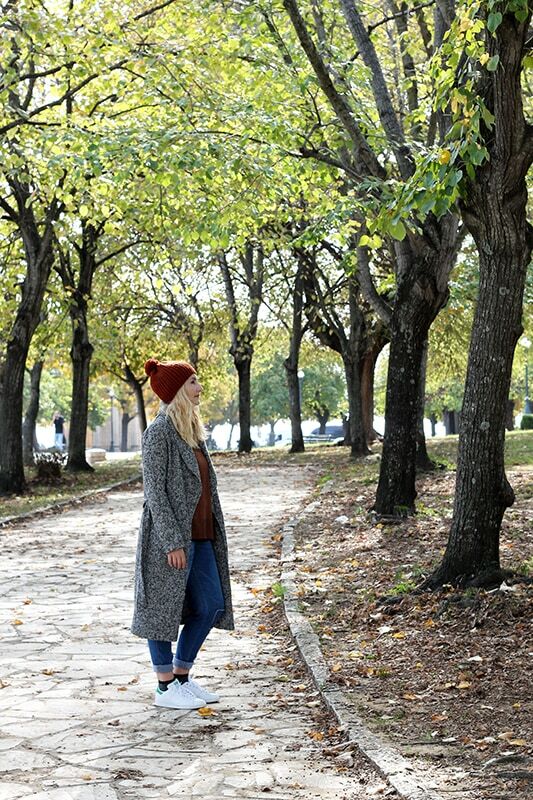 Not too bulky and not too light, this hat is comfortable to wear on crisp days when you walk through the park! 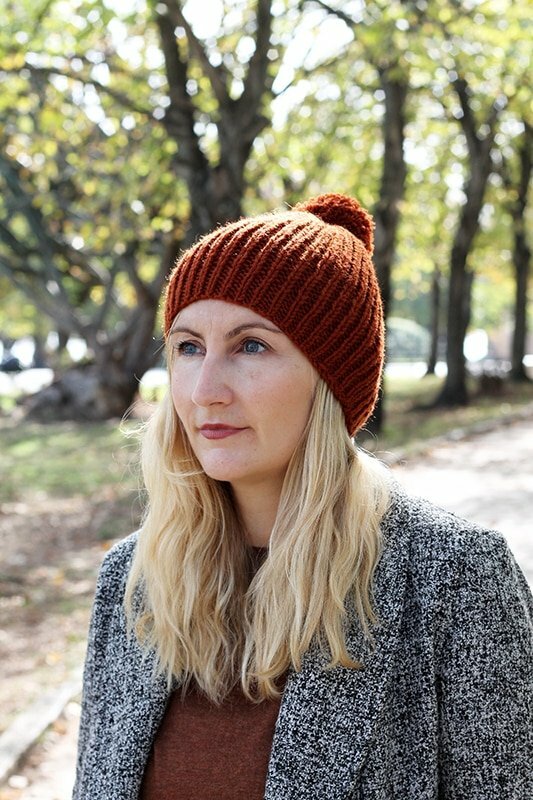 The hat pattern is easy, knit in a simple rib pattern. 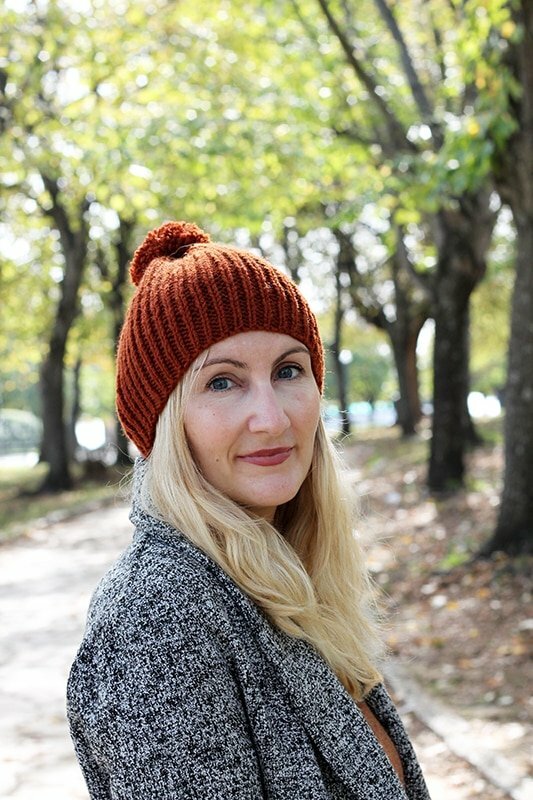 I made the hat using Classic Alize Lanagold yarn in rust (91) and knit on size 4mm (US 6) and 6 mm (US 10) 16″ circular needles. 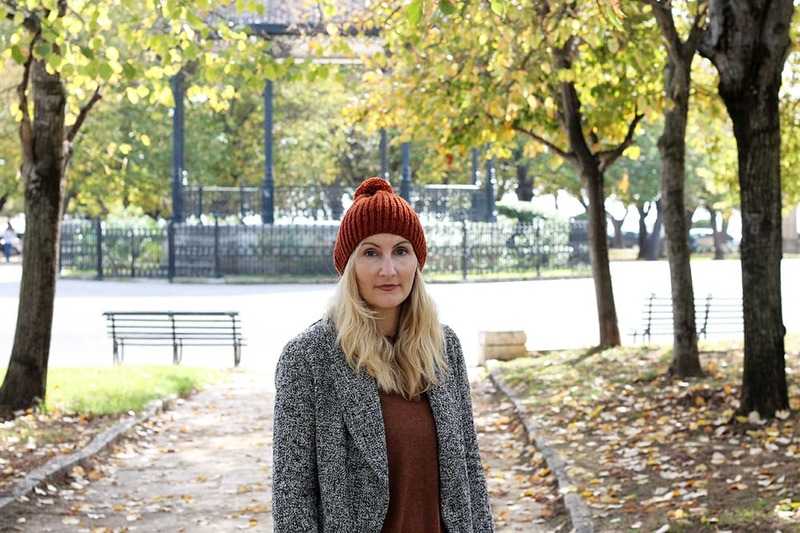 The hat uses basic knitting stitches – knit and purl, to create 1×1 ribbing for the main body of the hat. I watched the movie Love Story for the first time and I really enjoyed it, not only for the story but for Jenny’s wardrobe. 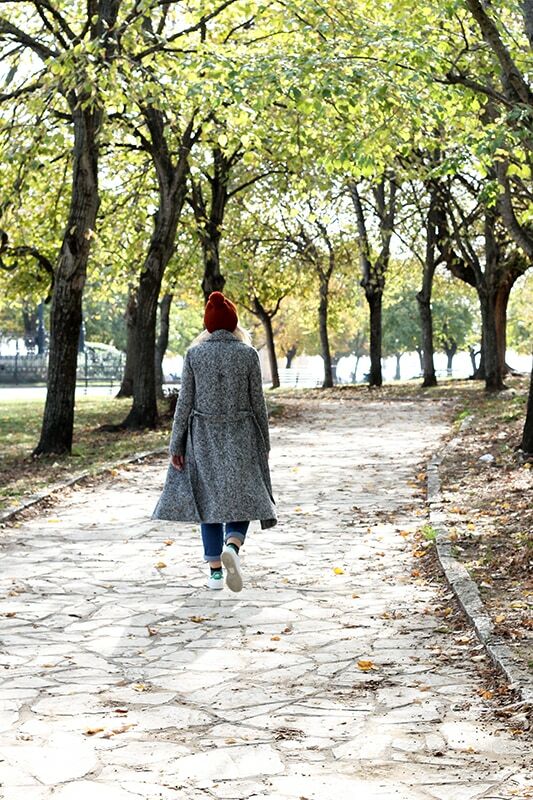 Her fall style, with the oversized camel coat and knitted hats, were stunning. 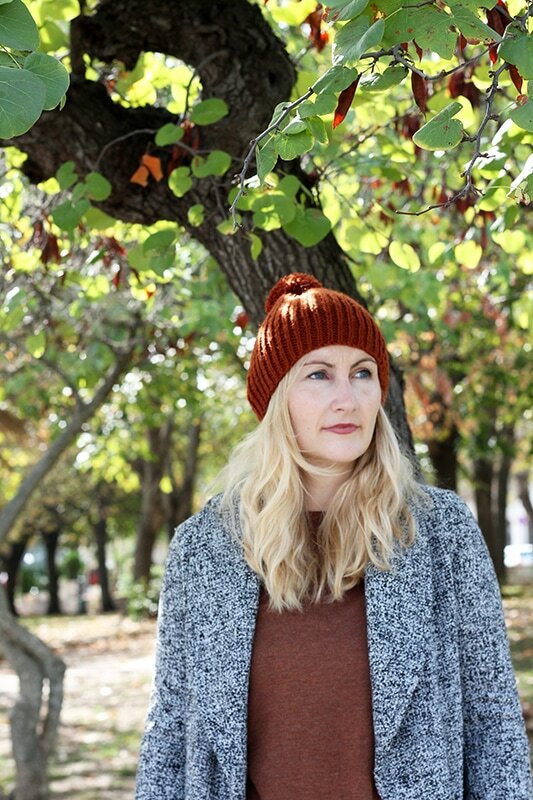 The rust coloured yarn I used for the hat is just right for fall and will go with any outfit. 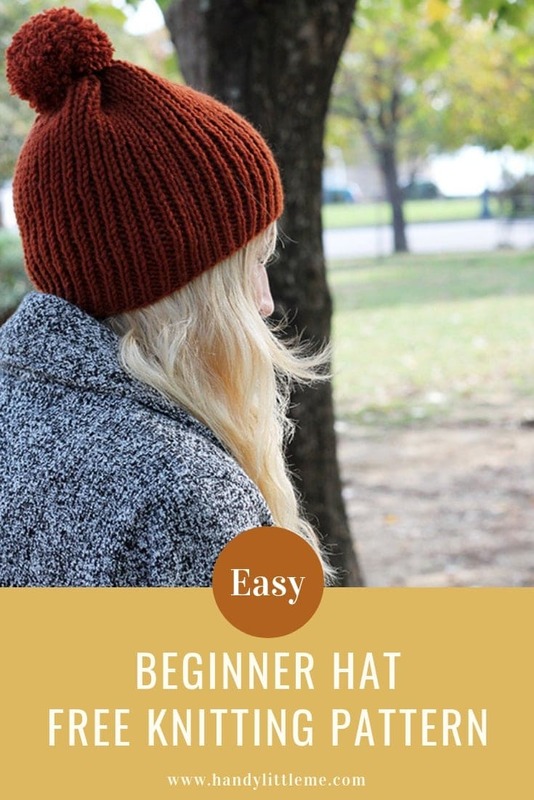 Make an easy ribbed hat with this free pattern that has a really comfortable fit. 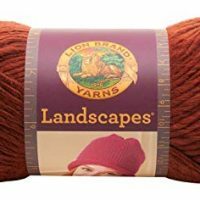 1 x skein of any medium (04) or bulky (05) yarn. I used Alize Classic Lanagold in the colour 56. Join in the round and don't twist. K1, P1 for 5 rnd's. K1, P1 every round for 8"
K1, K2tog to end of rnd. K2tog to end of rnd. 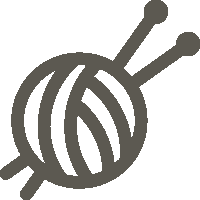 Cut yarn and thread through the rem sts, pull tight and secure. 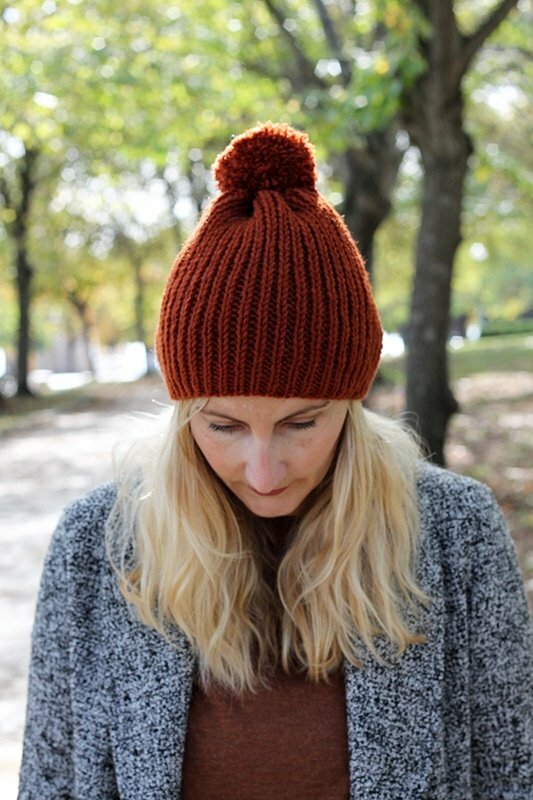 Make a pom and add to the top of the hat, stitching into place securely. 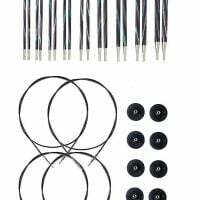 Gauge - 6sts and 6 rows in 1"
Height of hat w/o pom - 8.5"